Danielle Bregoli earned her 15-minutes of fame, and counting after appearing on the Dr Phil Show in September 2016. The 13-year old is cashing in after coining a comical catch phrase that has appeared all over the internet and cable news networks. Bregoli lashed out at the audience during the episode that dealt with the unruly teen taking issue with her parents’ demands. The youngster is apparently making a boat load of money off the phrase, and her popularity continues to grow. 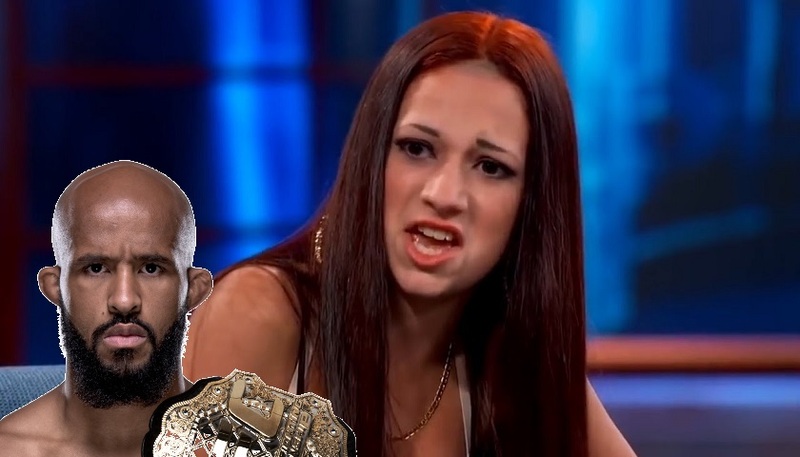 Johnson was speaking in relation to fellow UFC champion Tyron Woodley who has been extremely vocal of late about racism in mixed martial arts, his perceived lack of promotion from the UFC and the potential correlation between the two.